Food Technologist at the National Institute of Food Technology Entrepreneurship and Management in India. 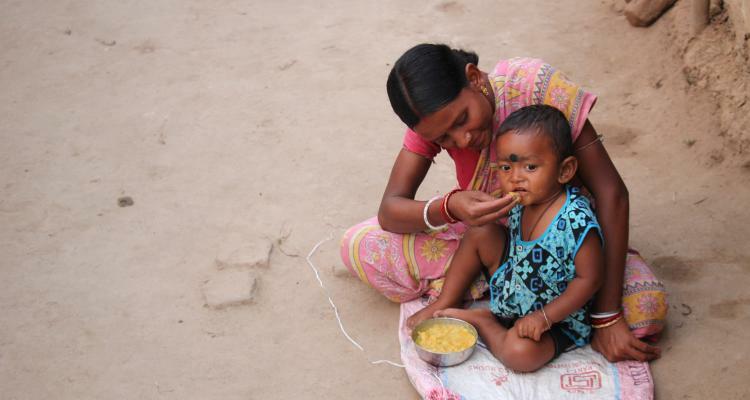 South Asia is home to almost 40 per cent of the world's stunted children. A lack of vital nutrients in their younger years leads children across the continent to have impaired growth, both mentally and physically. This leads to a higher rates of illness and mortality in later life. Strategies to improve nutrition for mothers, and children within their first 1,000 days of life, are at the heart campaigns to reverse this tragic trend. Breastfeeding, supplementation, as well as the promotion of nutrient-rich diets for mothers and adolescent girls are among the interventions that have shown the most promise for combatting this key issue. 2016 has been declared by the United Nations as the International Year of Pulses. One major reason for this is to draw global attention to the diverse health benefits that pulses offer. Naturally rich in protein and fibre, whilst low in fat, pulses should be featuring in the daily diets of those suffering from malnutrition. However, government food distribution systems to tackle hunger focus on providing calories, but not other nutrients. Many of the poorest Indians can only afford rice or wheat. Bringing a wider range of affordable food products that feature pulses to market will be key to ensuring people across South Asia can access the many nutritional benefits they provide. Inspired by the International Year of Pulses, a nationwide competition was held in India as part of the Global Pulse Confederation's LovePulses Product Showcase. The competition aimed to discover the best new recipes with pulses as a core ingredient. Because pulses require much less irrigation than rice and wheat, their increased use could be beneficial not only for the nation's health, but for our nation's water supply as well. 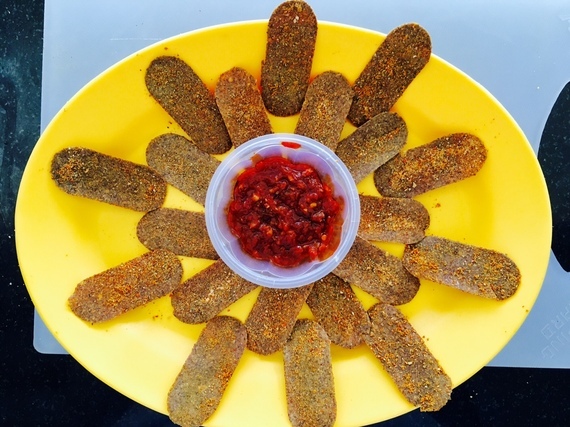 My teammates Yash Gajwani, Shardul Dabir and I, from the National Institute of Food Technology Entrepreneurship and Management (NIFTEM), wanted to create a product for urban populations, who often snack on unhealthy fried foods. This leads to the opposite problem of malnutrition: obesity. We created "Flax Millet Pulse Chips", a nutritious substitute for the unhealthy fried potato chips currently available. Made from 55 per cent pulses, including bengal gram and argar dal, the chips are high in fibre and are hand baked so virtually oil free. A team from the Institute of Hotel Management in Bangalore, who won the overall competition, developed "Adzuki Coins", delicious, crispy balls made from nutritious Asian adzuki beans, pistachio, almonds and cashews, rolled in quinoa. This week we shall travel to the Institute of Food Technologists Expo in Chicago, to showcase our product in front of potential investors. We hope they can see the impact that putting more pulses into affordable foods could have on nutrition levels not just in South Asia, but across the world. Yet there are many challenges facing food innovators who want to utilise pulses. From July 2014 to July 2015, prices of the major pulses in India increased between 12 and 50 per cent. The 'tur daal', a popular lentil typically eaten daily with rice, particularly in lower income and poor households, has doubled in price in just over a year. According to the Indian Pulses and Grains Association, farmers in India see less than half the pulses yield per hectare as compared to farmers in advanced countries. This is one of the reasons that India is significantly reliant on more expensive pulse imports. Poor nutrition affects the poorest in society. Nutritious foods such as pulses need to be made available and affordable for the rural populations most at risk. Thanks to work from HarvestPlus, higher yielding, biofortified lentils that are rich in iron and zinc have been distributed to over a million farmers in low-income areas of Bangladesh and Nepal. These lentils have the power to turn the staple rice-lentil dish in South Asia region into a "powerhouse of essential nutrients" effectively targeting the malnutrition, the root cause of stunting. Getting pulses to consumers in both urban and rural areas will be an important weapon in the fight against malnutrition and poor health in South Asia. We hope the International Year of Pulses can build awareness of this, and contribute to a better future for our continent.